Nominations are now CLOSED for the 2019 CACEO Board of Directors. 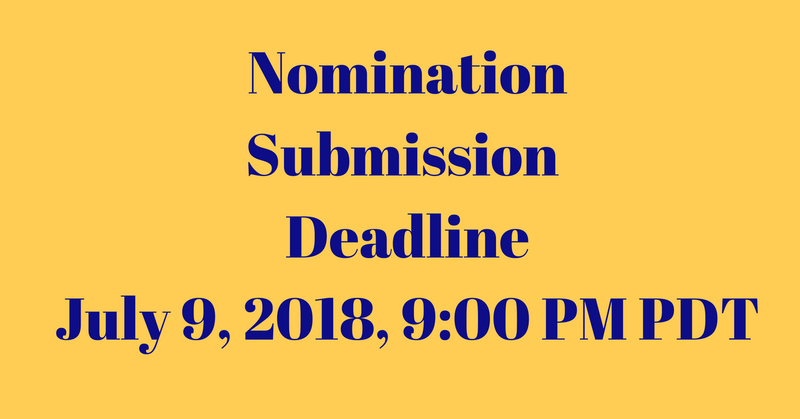 Please use the online form below to nominate a person you believe will be an asset to the CACEO Board of Directors and assist CACEO in achieving its vision, missions and goals. Before you submit your nomination . . . please check your own profile to ensure that you are a member in good standing of CACEO, as only members of CACEO can submit nominations. Log into your profile at www.caceo.us. If you do not remember your login, call CACEO at (916) 492-2223 to have your password reset. Once you are logged into your profile, look on the left side and ensure that your expiration date is shown as 12/31/18. If it is not, call CACEO for assistance. If your membership expiration date is correct, then scroll down on your profile to ensure that your Region is correct. If it does not, edit your profile to the correct Region. While there, please check to ensure that your profile shows your current employer information and that your email address is current as well. Once your information is correct, return to this page and submit your nomination. Please note: the submission form has 9 separate pages. Page 1 is your information, followed by the Regions 1 through 8. There appears to be a requirement that even if you only want to nominate one person, you have to click on each page until you get to the page where you want to nominate and, once information is added on that page, continue to click on each page until you get to the last page to submit. Under the current CACEO Bylaws, there is no restriction on the number of people you can nominate in your region, and it also allows for nominations in a region of which you are not a member but may have independent knowledge of the qualifications of a CACEO member who should be nominated. All candidates nominated will have to "accept" their nomination and provide CACEO with a candidate statement and a photograph on or before July 16, 2018. No later than July 26, 2018, balloting will open online and will close at 9:00 PDT on August 27, 2018. Results will be furnished to the Elections Committee on August 28, 2018, candidates will be notified of the results on or before August 31, 2018, and election results will be announced on October 10, 2018 at the Annual Seminar.